We are proud to again be supporting Earth Month 2018. 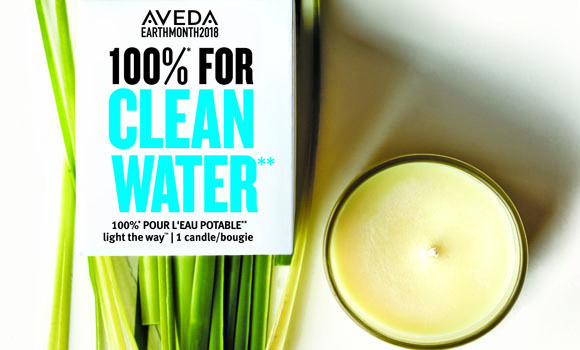 Each year Aveda produce their Light The Way candle with 100% of the £16 purchase price going directly to clean water projects across the World. 1 Million people now have clean water from the sales of these candles. In addition to the sale of the Light The Way Candles, we are also running a raffle – simply donate £1 to the Earth Month cause and for every 16 donations one person will win a candle. So please purchase your ticket today!